On Saturday 13th April, a Maltese local Martial Arts club visited The Cliffs Interpretation Centre for an informative and recreational activity, including the walk to Clapham Junction site. The participants consisted of instructors, together with children and parents. 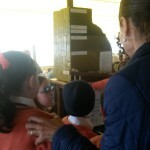 On Saturday 16th March, a group of Sicilian visitors visited The Cliffs Interpretation Centre, for our recreational packages, commencing with an audiovisual, and followed by the accompanied walk to Clapham Junction site, and local food upon return back to The Cliffs Interpretation Centre. Ms. Liz Campbell, a Canadian journalist visited The Centre for our innovative audiovisual and hands-on presentation on local produce, followed by local food platters and pasta at The Cliffs Interpretation Centre. 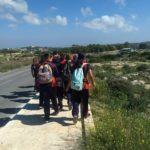 On Saturday 2nd February, the eco-walk with the Dingli local Scout Group has been re-reorganised, for over 20 scouts, together with their leaders. 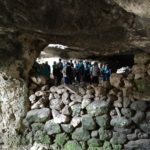 The free eco-tour started with the audiovisual explaining all landmarks of importance in the area, followed by the walk to the area of Gebel Ciantar - troglodyte walls, silo pits, and more. Another group of students visited The Cliffs Interpretation Centre for one of our school outing. 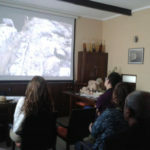 The outing started with an audiovisual in the lecture room followed by an accompanied walk with one of our local personnel, focusing on geology and history. A group of students from a secondary state school visited The Cliffs Interpretation Centre for an educational outing on the area’s environment, flora, fauna and geology, with an informative presentation, the engaging audiovisual and accompanied walk, with a focus on hands-on experience of learning. 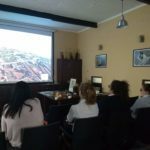 A group of students from a private independent school visited The Cliffs Interpretation Centre for an educational outing on the area's environment, flora, fauna and geology, with an informative presentation, the engaging audiovisual and accompanied walk. Students undergoing a bachelor course in gastronomy at the Institute of Tourism Studies (ITS) visited The Cliffs Interpretation Centre to learn more about the concept idea of The Centre, the rejuvenation of past traditions through food, the importance of off-peak tourism and more. 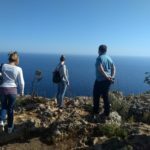 Employees from a particular department at the University of Malta joined us on one of The Cliffs Interpretation Centre's free eco-walks as a recreational and informative activity. Adult students attending an English Language School joined us at The Cliffs Interpretation Centre for a Free sunset eco-walk. 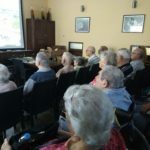 A group of elderly residents from a Retirement Home visited The Cliffs Interpretation Centre for the free informative audiovisual and presentation of local produce, reminiscing about past traditional practices. The Centre is accessible to all, with wheelchair accessibility for both the main premises and the lecture room. La Pinta Ltd, the Company that manages The Cliffs Interpretation Centre won a prestigious Diploma of Recognition for the 2018 Anders Wall Award, in the Environment Category. The Anders Wall Award Environment is dedicated to recognise individuals or organisations for their special contribution to the rural environment within the EU, with achievements related to preserving the landscape and cultural heritage, providing biodiversity and contributing to sustainable local development. 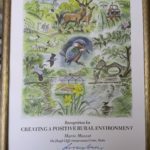 The Award is organised by the Anders Wall Foundation in association with the European Commission, Directorate General for the Environment, the Royal Swedish Academy of Agriculture and Forestry and the Friends of the Countryside. An educational visit was organised for Esplora employees to learn more about the innovative idea of The Cliffs Interpretation Centre as similar visitor attraction in organising educational and recreational activities to generate environmental awareness. 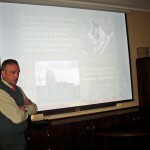 The visit consisted of the audiovisual and hands-on presentation on local produce. Another group of students from a secondary school visited The Cliffs Interpretation Centre for one of our school outing. 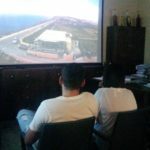 The outing started with an audiovisual in the lecture room followed by an accompanied walk with one of our local personnel. 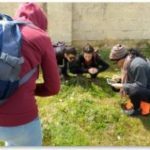 Since the students have environmental studies, the walk highlighted natural plant adaptations in the garrigue habitat, history of the cave complex, micro-climate and more. 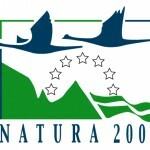 The Cliffs Interpretation Centre hosted over 55 employees from the Environment and Resources Authority (ERA) in a seminar to employees related to the Natura 2000 importance of the area. Four delegates from the commune of Monte Isola, North Italy visited Dingli, as organised by the Dingli Local Council for town twinning preparation. 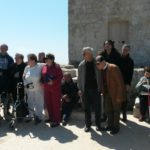 The delegates were joined by members of the Dingli Local Council for an activity at The Cliffs Interpretation Centre on Saturday 5th May consisting of the audiovisual and walk, to showcase what the village of Dingli has to offer. Various similarities between Dingli and Monte Isola were noted, such as the traditional use of certain local produce for culinary and medicinal purposes. On Saturday 5th May, The Cliffs Interpretation Centre hosted two activities for the Malta Tourism Authority's Apprezza Campaign, an annual initiative for children and their parents to learn about Malta's tourism product and instil awareness, based on weekend activities. 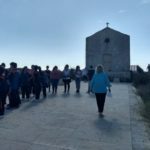 Each activity consisted of a hands-on presentation adapted to children, together with the audiovisual and a short walk to St. Mary Magdalene Chapel. 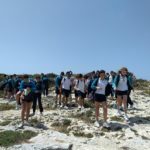 Children and their guardians (more than 30 persons in total) learned about the rural aspects of Dingli Cliffs, including local produce and wild flowers, amalgamated with the historical aspects of the area, such as Dingli Radar and the cliff-edge chapel. For another scholastic year, The Cliffs Interpretation Centre has organised free school outings to ITS students in Foundation courses in two separate activities on Monday 30th April and Thursday 3rd May, for 19 students and 18 students, respectively. The focus of the visit was on the sustainability concepts of The Centre, shoulder month tourism and providing environmental consciousness on the surrounding environment, history and local produce. On Monday 30th April, a short accompanied walk was also included. Another group of students from a private secondary school visited The Centre for one of our free student visits as part of the Environmental Studies course, for the hands-on presentation of local produce, audiovisual presentation and short accompanied walk to the Chapel of St. Mary Magdalene. The 15th edition of the annual Wirja Agrarja event was organised by the Local Council of Dingli, yesterday at Buskett Gardens. The Cliffs Interpretation Centre contributed to such promotion of local agriculture and related rural activities. Earlier today, a group of students from an independent school visited The Cliffs Interpretation Centre for a free school outing, consisting of audiovisual and accompanied walk. The highlights of the walk were environment, geology, human land use, history, wild produce and more. The Cliffs Interpretation Centre organised a free informative activity to members of a local committee group from Birkirkara. 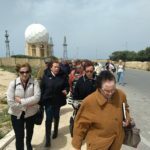 33 members joined us at The Centre for the interesting audiovisual about the area's attractions, followed by a short accompanied walk to St. Mary Magdalene Chapel, defying the strong wind. Past culinary and medical traditions of the locals was the main focus of the activity. Amongst the visitors that visit The Cliffs Interpretation Centre for its recreational and informative activities, are members of the local community. 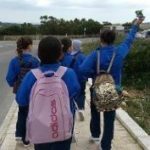 Over 17 members of the Local Craft Club of the village of Dingli visited The Centre for the free audiovisual and free accompanied walk. The main topics of interest and dialogue were local edible produce, traditional practices of the rural community, agricultural use of the land and more. This was complemented with The Centre’s motto “A new concept…local produce”, since after the walk, local food was served to the participants of the walk. 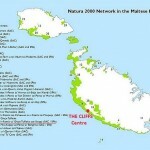 The Cliffs Interpretation Centre has organised a special eco-walk with a focus on wild orchids in the Maltese Islands. 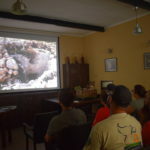 The Cliffs Interpretation Centre collaborated with Greenhouse Malta NGO, in organising an eco-walk, consisting of an audiovisual at the lecture room and followed by a guided walk. The Cliffs Interpretation hosted for the second time students attending the John Felice Rome Centre of the Loyola University. Students and lecturers enjoyed one of our free informative eco-walks, together with a fulfilling lunch at The Centre, garnished with local produce. 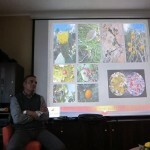 The Cliffs Interpretation Centre hosted Greenhouse Malta for free, for a private talk on Orchid Surveying as part of a citizen science initiative to record wild orchids in the Maltese Islands on Sunday 25th February. Following the talk, volunteers went out in the field to spot orchids. 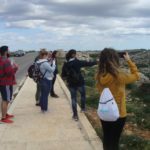 A group of University of Malta students, enrolled in a University course with the Faculty of Education, visited The Cliffs Interpretation Centre for a lecture, audiovisual and walk along The Cliffs Trail, together with their lecturer. The students of the Department of Health, Physical Education and Consumer Studies, gained more knowledge on the local use of wild edible produce for health and well-being whilst engaging in the active walk to reach areas of historical importance. 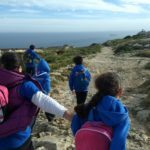 Following the "From Local to Local" packages last September, where the Dingli Scout Leaders joined us at The Cliffs Interpretation Centre for a recreational walk and local food, Dingli Scout Group re-organised the activity for the Cubs Section on Saturday 28th October. The free eco-tour started with the audiovisual explaining all landmarks of importance in the area, followed by the walk to the Clapham Junction site and its surroundings. Over 20 cubs joined the walk, together with their leaders. The Centre was pleased to host the several diplomatic missions that visited for a free eco-tour on Saturday 7th October. 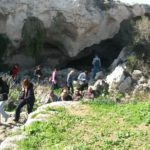 Together with The Cliffs Interpretation Centre, the activity was organised by the U.S. Embassy in Malta and the other diplomatic missions that visited The Centre for the leisurely family activity included the American, Australian, British and French missions. 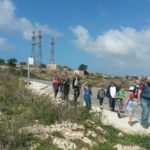 The tour, starting with the audiovisual and followed by the accompanied walk by one of our local personnel, aimed to promote the environment of Dingli Cliffs, especially when considering the designated status of the Natura 2000 site's habitats and species. Whilst the panoramic views seem to be major highlights in the area, the area has much more to offer, including access to historical sites, unique flora and fauna, and the local wild edible produce, part of the traditions of the local village. This week, The Centre sponsored From local to local packages to promote the importance of the local natural environment to residents and entities operating in the village. 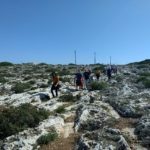 In the activities, spread over several days, the entities that visited The Cliffs Interpretation Centre, included the Dingli Scout Group and the Ghaqda Talent Dingli, who enjoyed the engaging audiovisual and the accompanied walk to the Clapham Junction historical site. The Cliffs Interpretation Centre also sponsored the local food platters that were served after the walk, indicating the combination of information dissemination using both the informative eco-walks and the gastronomical technique of producing local food. Combining information dissemination about local flora species with gastronomy at The Cliffs Centre…cooking fish with seasonal asparagus, wild fennel..Check out this video clip!! For the fourth year, The Cliffs Interpretation Centre assisted the Dingli local football club (Dingli Swallows FC) in organising part of the Under 11 Event Tournament on Sunday 21st May. 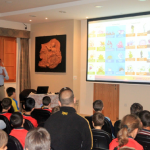 The Cliffs Interpretation Centre organised two presentations and talks to a total of about 120 children under 11 years, from eight different Maltese football teams. 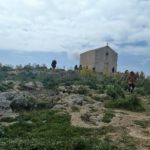 The focus of the talks were the important landmarks that are found along Dingli Cliffs, the environment, history and local products. The Cliffs Interpretation Centre welcomed members from SPERO, a specialised training and activity centre for blind and visually impaired persons. An explanation of the varying local produce that is currently found in season was followed by a short walk to appreciate the touch and smell of certain wild plants and their valuable use for cooking or medicinal purposes. For another scholastic year, The Cliffs Interpretation Centre has organised school outings to ITS students in Foundation courses in a week-long activity from Monday 12th to Friday 17th December 2016. 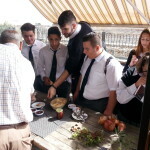 The students learned about the environment and local produce, and the sustainability concepts of The Centre. On Day two of the organisation of educational packages to local Dingli groups, on Wednesday 14th September, the local entity of Ghaqda Muzikali Santa Marija, visited The Centre for the engaging audiovisual, presentation on seasonal local produce, accompanied walk to one of the major landmarks along The Cliffs Trail and return for local food platters. 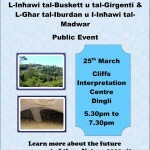 The Cliffs Interpretation Centre has organised an educational packages to local Dingli groups, with the local council of Dingli. 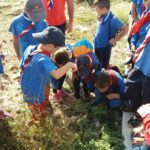 In Day 1, leaders from the Dingli Scout Group were present for an audiovisual, guided walk and return for local food platters. 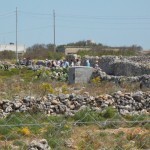 The Cliffs Interpretation Centre has retained its Discover Dingli Cliffs tours during the summer months. The tours have been shifted to evening activities, and are ideal for the visitors to enjoy the spectacular sunset. 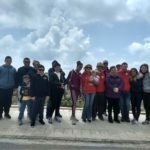 A group of locals from the village got together and visited The Centre to get to know more about the environment, history and archaeology of Dingli Cliffs and the surroundings. They were also interested in the local produce that is seasonally produced at The Cliffs Interpretation Centre. 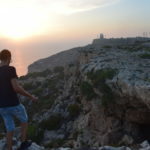 Environmental experts of CEPI, the Confederation of European Paper Industries, visited The Cliffs Interpretation Centre on a social activity, linked to getting to know more information on Dingli Cliffs and its natural environment. CEPI is a non-profit-making organisation, based in Brussels which groups together European industries involved in pulp and paper making. 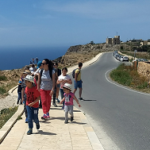 A group of diplomats resident in the Malta visited The Cliffs Interpretation Centre to gain more insight on the village of Dingli, and the cliffs that have shaped the surrounding environment and the locals’ way of life. This was the 1st Cultural Tour for Diplomats on 2016, organised by the MFA and the Dingli local council. The Cliffs Interpretation Centre was the first item within the programme of the day. For the third consecutive spring, The Cliffs Interpretation Centre assisted the local football club of Dingli Swallows FC in the organisation of the Under 11 Event Tournaments. 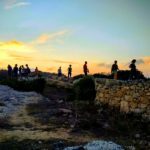 Circa 160 children aged under 11 years, from several different local football teams within the Maltese Islands, participated in The Cliffs Interpretation Centre seminar. Local falconers club in Malta have kept up practising the traditions of falconry whilst also researching birds. An event was hosted by a Falconers Club at The Cliffs Interpretation Centre. 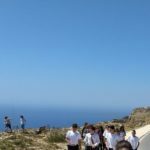 A group of school students and representatives of the EkoSkola committee, from the Dingli Primary School visited The Cliffs Interpretation Centre to attach a poster, which the students have prepared that promotes healthy eating and responsible food consumption. The consumption of local food and seasonal produce are also aligned with one of the concepts of The Cliffs Interpretation Centre, that of local produce and education. 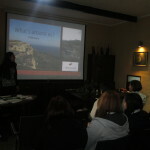 Several groups of ITS students enrolled in Rooms Division Certificate course visited The Cliffs Interpretation Centre for a school outing focusing on offering a tourism product in the off-peak seasons, not only offering a pleasing visit but also promoting the Maltese Islands' rich natural and historical heritage in an authentic and informative way. A group of about twelve University of Malta student-teachers of Home Economics visited The Cliffs Interpretation Centre on 30th October 2015 to learn more about the concept of sustainability and local produce. 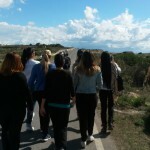 The out of the classroom experience included audiovisual, presentation, and walk along The Cliffs Trail. Five different groups of ITS students enrolled in the Foundation course visited The Cliffs Interpretation Centre for week-long school outings from Monday 5th to Friday 9th October 2015. Students had a hands-on experience on the seasonal local produce rejuvenated at the centre, together with an audiovisual and presentation. 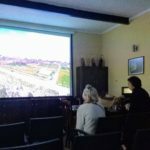 THE CLIFFS Interpretation Centre organised a trial run of the innovative packages, including an audiovisual, presentation and walk around Dingli Cliffs with highlights on the natural ecology, local products, history, archaeology and landmarks along the surrounding picturesque cliffs. Staff members of THE CLIFFS Interpretation Centre and Marsovin employees joined us for the evening activity, followed by a wine tasting session at the Centre. 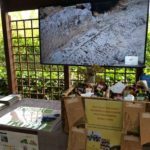 The Cliffs Interpretation Centre interacted with numerous MEPA officials and local entities in LIFE Info Day, focusing on Nature and Biodiversity. 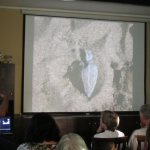 A talk organised by Ms. Annalise Falzon and delivered by Mr. Charles Saliba about marine turtles and their nesting habits in the Mediterranean Sea. About 25 people were present for this event in THE CLIFFS' boardroom, followed by a vegetarian dinner on the outside decks. Watch the video about an innovative way to cook with local cheeselets and quail! 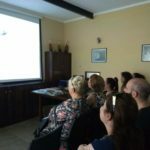 THE CLIFFS Interpretation Centre hosted the first public seminar on bird photography by KRPE (Public Relations & Educational Commission) within the FKNK (Federation for Hunting & Conservation) by ornithologist Dr. Natalino Fenech. It can be regarded as a very positive and initial action taken to enhance hunters’ education. Invitation to attend a private stakeholder meeting by the EU Commission’s REFIT programme on the implementation, integration and costs of the Birds and Habitats Directives, covering environmental, economic and social experiences. 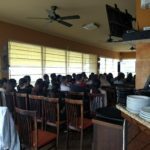 Lecture delivered to a large group of youth members of the local football club, Dingli Swallows in the Under 11 Fun, Football, Education and Culture event. 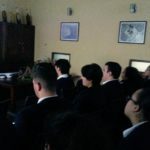 Lectures given to Institute of Tourism Studies (ITS) students, on the natural flora and fauna of Dingli Cliffs, where students had an out-of-the-classroom experience about the production of local products, the maintenance of the vegetable and herb garden at the centre and tasting of local jams. 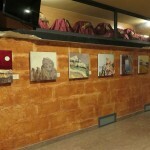 THE CLIFFS centre accommodated a one-month ongoing acrylic art exhibition, from 17th June to 10th July 2014, entitled ‘Magdalene’s Tangerine” by Damian Ebejer. It focused on the dynamic landscapes and interaction with people surrounding Dingli Cliffs. 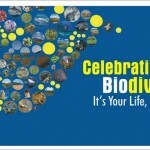 THE CLIFFS Interpretation Centre was selected by the Ecosystems Management Unit, within MEPA, to host a press conference celebrating The International Day for Biological Diversity. THE CLIFFS Interpretation Centre was praised for its initiative in including wild plants in its menu. La Pinta Ltd. launched its nature walking trail. Finding culinary value in the environment and its wild produce! Game served with wild nettles, and Fresh rack of lamb served with Wild Asparagus and the wild Edible Mushrooms. 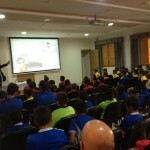 Lecture delivered to about 180 youths, divided into two groups in the Under 11 Fun, Football, Education and Culture event, organised by the Nursery of the local Football Club, Dingli Swallows. 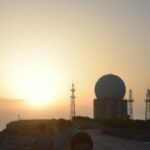 A book launch on “Malta’s Early Warning System during WWII”, by Major Tony Abela, occurred at the Interpretation Centre to commemorate the 35th Anniversary when the Maltese took charge of the Air Traffic Systems from the British RAF. 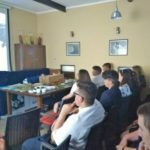 THE CLIFFS Interpretation Centre hosted a stakeholder and public event concerning the nearby Natura 2000 sites of l-Ghar tal-Iburdan and Buskett/Girgenti. 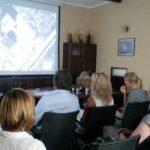 Presentation delivered in THE CLIFFS Interpretation Centre's Boardroom, followed by a guided walk to the surrounding focusing on geography, biodiversity and landmarks at Dingli Cliffs to a delegation of about 40 European Environmental Planners. 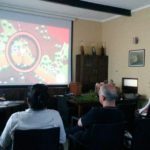 Presentation on the local flora and fauna and walk delivered to a group of 40 Maltese and foreign guests, involved in the 2013 Malta Comic Con Convention. 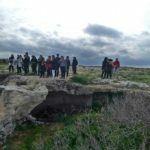 Numerous lectures given to Institute of Tourism Studies (ITS) students, on the natural flora and fauna of Dingli Cliffs, seasonality and its influence on local produce and the tourist potential of rural areas. THE CLIFFS Centre was invited to a stakeholder workshop on the development of the Natura 2000 Management Plans for the SACs of “Rdumijiet ta’ Malta: Ir-Ramla ta’ Ghajn Tuffieha sax-Xaqqa” and “Mix-Xaqqa sal-Ponta ta’ Benghisa”. The Interpretation Centre is found in the middle of the SAC zone. 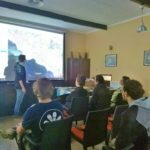 THE CLIFFS Interpretation Centre hosted and was invited to a stakeholder Natura 2000 workshop for the SACs of l-Ghar ta' l-Iburdan and Buskett/Girgenti to discuss a five-year vision on the management of the protected areas. An innovative way of cooking Maltese pork...with Quince Jam!! The inauguration of THE CLIFFS Interpretation Centre occurred, along with the book launch by Mr. Alfred E. Baldacchino on breeding birds in the Maltese Islands. THE CLIFFS hosted a re-union and seminar for the remaining World War 2 veterans of the Santa Maria convoy who visited Malta for the occasion. Five veterans were present at the event. The centre hosted a Maltese National Rural Network (MNRN) Committee meeting and served local fresh agricultural produce to Measure 313 members, a Rural Development Measure which aims to promote economic growth in rural areas. 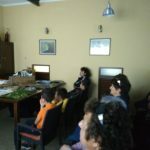 Presentation and lecture on the biodiversity richness of Dingli’s flora and fauna delivered to members of a local crafts’ club. 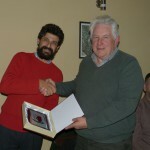 A lecture given by two Italian wine and vine experts to local wine producers was based on PROMED, an Itali-Malta project focusing on the harvest and process of grapes in 2011.